Law enforcement officers need every advantage they can get to keep themselves and their communities safe. Tools such as GPS fleet tracking for law enforcement help to make daily police activities safer and more efficient. Recently, Hidalgo County Pct. 4 Constable J.R. Gaitan was interviewed by KRGV.com, a Texas-based affiliate of ABC News 5, about how his precinct deployed a new GPS fleet tracking solution from RASTRAC in 14 patrol units, and the results of using this new system. This ability to track the origin point of a distress signal is key for increasing safety for officers in the field. Normally, without the GPS device, backup would either need a verbal confirmation of the distressed officer’s location or start by checking the last known position the officer reported. In many cases, an officer pressing the distress button on their radio might not be able to communicate verbally, or, worse yet, may not have remembered to check in for a while. Either way, backup’s response to the emergency call will be delayed as they struggle to search for the call’s origin point. By tracking the exact location of a squad car, the Hidalgo County Pc. 4 Constable’s Office is able to dramatically narrow the search area, saving time and possibly lives. The GPS solution deployed by Hidalgo County Pct. 4 included the ability to connect to a vehicle’s onboard diagnostics system and relay that information from the field. This gives Constable Gaitan vital statistics such as engine temperature, tire pressure, and countless fault sensor alerts. For example, the GPS trackers allow the central office to track vital vehicle use statistics, such as vehicle speed. With this information, dispatch can track which drivers make a habit of speeding too much for non-emergencies. Once identified, these officers can be reminded of the need for safe driving practices at all times. So, in a year and a month, this one county saved nearly $2,000 a month by using GPS fleet tracking. With GPS tracking of all tagged police assets in the county, the Pct. 4 office is able to track where officers are at all times and even prevent excessive idling. This allows the Hidalgo County precinct to ensure that police vehicles remain active while on duty, so patrol coverage is maximized. This not only makes for safer, more well-patrolled neighborhoods, it can also be used to increase transparency and accountability. With logs of where each vehicle was throughout the day, the precinct 4 office can hold individual officers accountable for keeping to their patrol routes with ease. 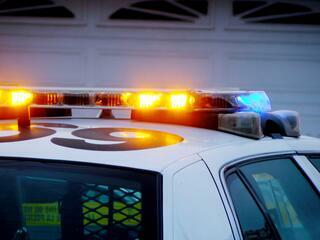 Learn more about how GPS tracking can protect both law enforcement and communities today!